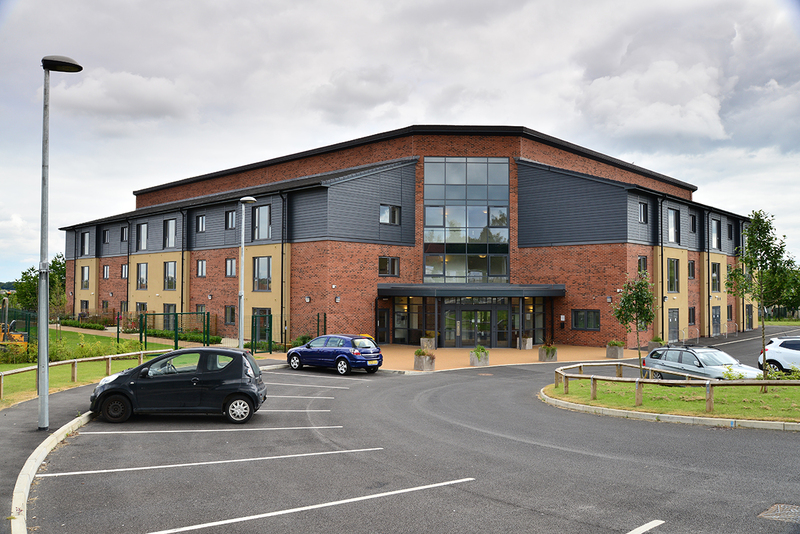 Bowman Riley designed an extra care housing development at Grafton Road for local people with learning disabilities and additional physical or sensory impairment, currently living in inappropriate hospital accommodation. 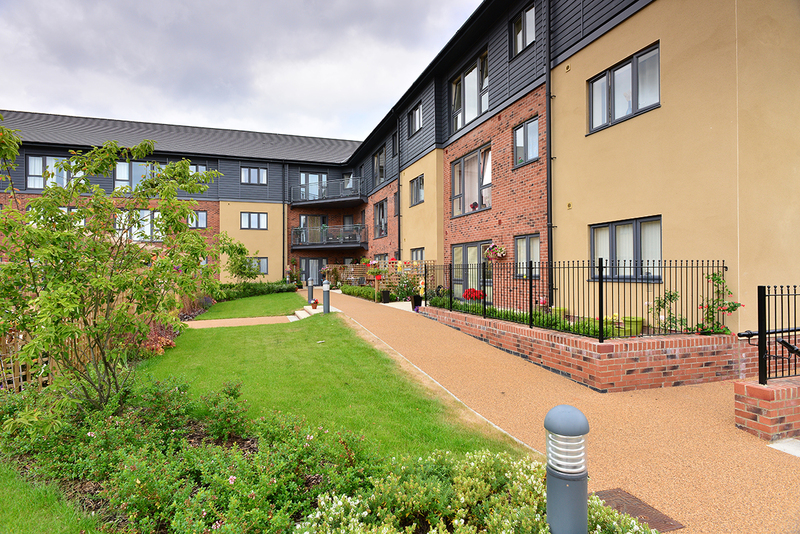 The site was selected following consultation with carers and relatives to ensure satisfactory amenity, convenience and access. The 1380m² development accommodates two clusters of eight self-contained one bedroom flats together with ancillary accommodation commensurate with the 24 hour support the residents need. As the residents have mobility problems, the requirement was for a single storey building with a layout is as compact as possible while allowing generous circulation areas. The internal spaces of the building are designed specifically to address the needs of users with limited mobility and are fully accessible to wheelchair users. The scale of the single storey residential building raised significant design issues. To address these, the apparent bulk of the roof was mitigated using of a hipped roof form with varying ridge heights. Gable features with largely glazed elevations denote the communal spaces within the development and relieve the horizontal nature of the scheme. There is potential for the scheme of this type to attract anti-social behaviour. To protect residents, the entrances and communal open spaces are located to minimise overlooking from passersby. Won through an architectural competition, Bowman Riley designed an innovative solution to the shortage of hostel accommodation in London through the use of converted shipping containers named Project Acorn. City YMCA London was unable to renew the lease for its existing central London accommodation. This resulted in the need to provide alternative accommodation for 120 short-term tenants, typically students for a two year period whilst permanent accommodation is created. 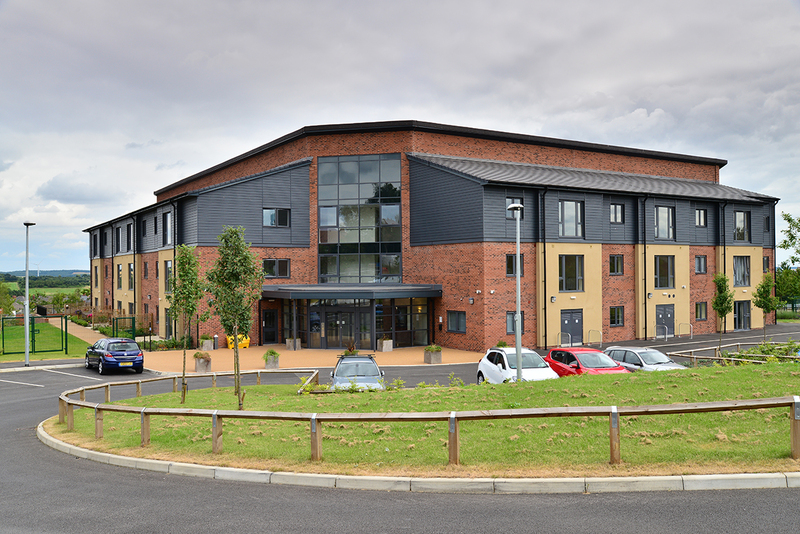 Working in partnership with the YMCA, Bowman Riley assisted in the selection of a vacant brownfield site that could accommodate a temporary housing scheme for a two year period, whilst a permanent building is created. The unusual feature about this housing scheme is that the homes are built out of converted steel shipping containers. Extensive discussions took place with the end user representatives and modular construction specialists to achieve a warm, safe and pleasant living environment. Bowman Riley designed clusters of ten single person homes with shared kitchens to meet the needs of the user group. The YMCA has commissioned a prototype to be manufactured in advance of the full order. Bowman Riley designed 16 new affordable homes on Railway Terrace situated in Normanton town centre adjacent to the railway station. Normanton is a town within the city of Wakefield famed for its railway and mining heritage. Having suffered decline in the years following the miners’ strike in the mid 1980s, Normanton has today become a growing commuter suburb of the Leeds City Region, favoured for its relatively low cost housing and excellent transport links. The Railway Terrace perimeter development provides two and three bedroom detached and semi-detached family homes each with two car parking spaces and rear gardens on land that had been vacant for 20 years following the demolition of a housing estate. The attractive development makes a significant contribution to the local housing market and to the regeneration of the town. 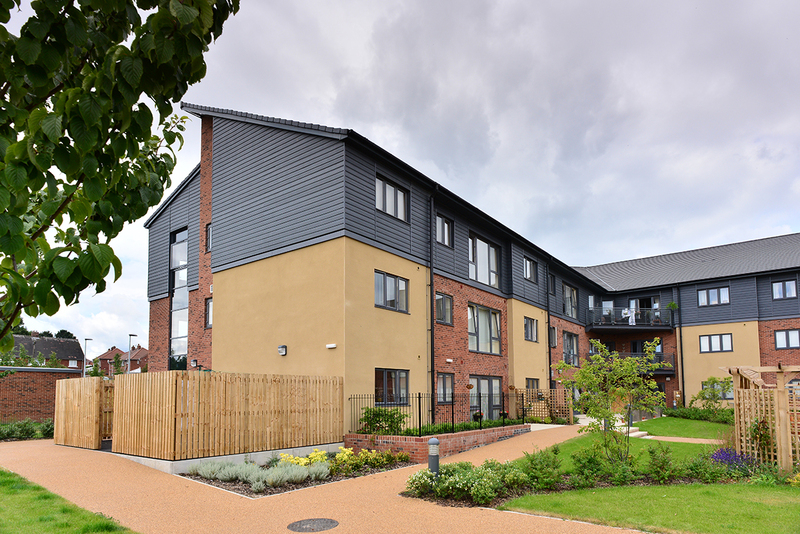 Designed with sustainability and security in mind, Railway Terrace achieved Code for Sustainable Homes Level 3 and Secured by Design accreditation. 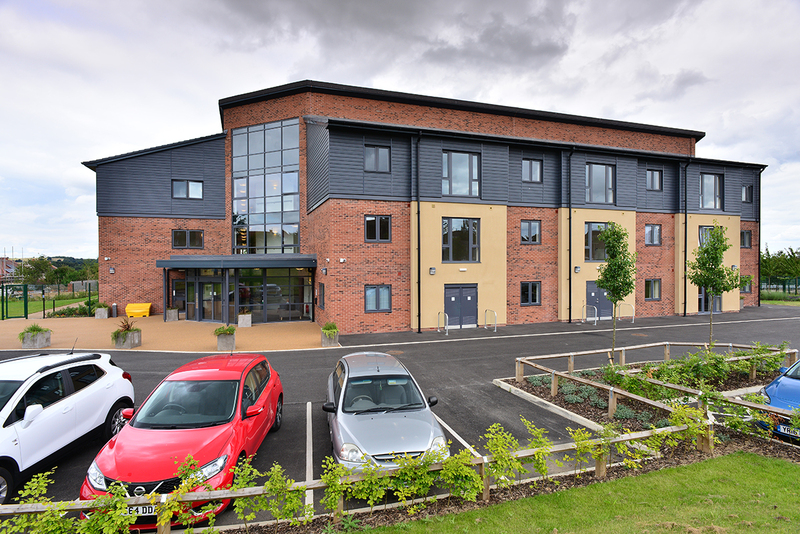 This project involved the design of a new build adult day care centre for people with learning difficulties in Huddersfield. The project incorporates group activity spaces, treatment rooms, a café/dining area, ancillary office, meeting and staff spaces, laundry and kitchen facilities. Other features include male/female toilets with fully compliant disabled toilets, showers and changing areas, baby changing stations and lifting hoists. 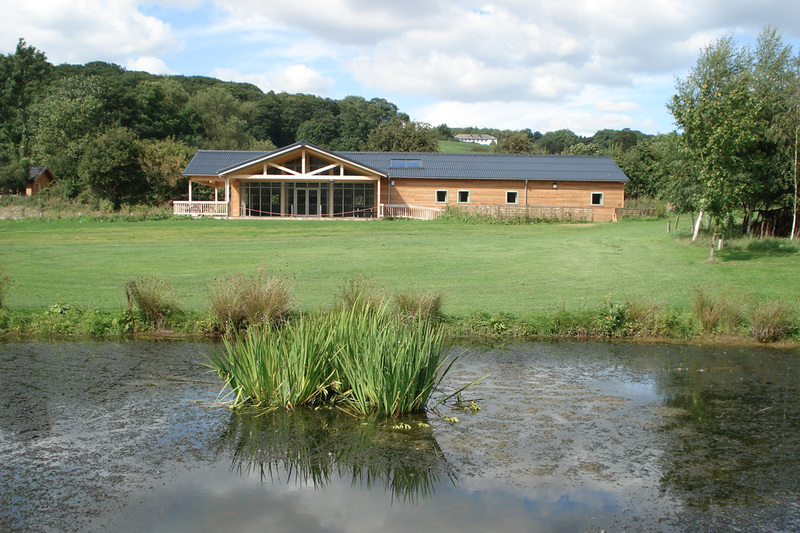 Sustainable features include a biomass boiler and solar panels. 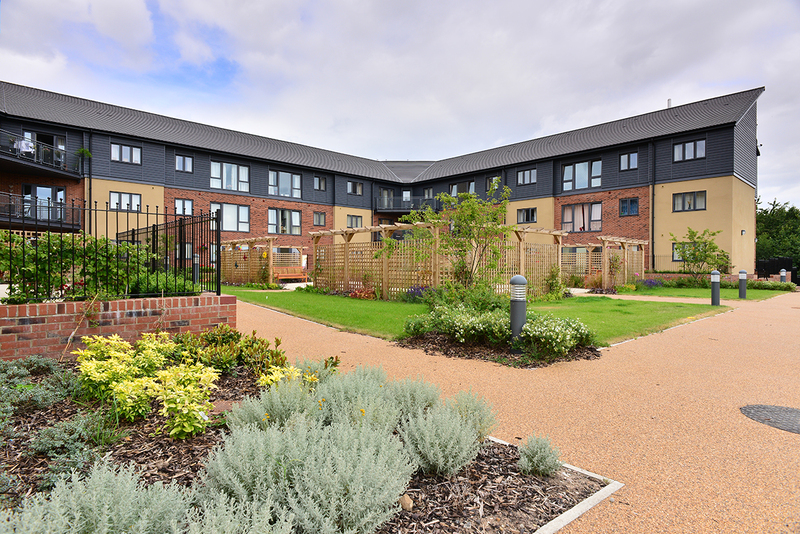 Bowman Riley designed the redevelopment of a derelict residential site on Hilderstone Road into housing for local disabled people currently living in inappropriate hospital accommodation. The site was selected following consultation with carers and relatives to ensure satisfactory amenity, convenience and access. The 680m² development accommodates a cluster of seven self-contained one bedroom apartments together with ancillary accommodation commensurate with the 24 hour support available to the residents. In response to the local character, the development maintains the local style of single storey properties with large roofs, providing additional staff accommodation at first floor level within the roof space. The massing in principle is split into two blocks with hipped roofs with a low level light weight flat roofed link between the two. This helps reduce the volume of the large footprint which extends back within the site and gives the impression of two distinctly separate bungalow style properties built within the site curtilage. A palette of red brick work, render and Redland grey Cambrian slate roofing is used to reflect the older properties in the vicinity. As many of the residents have mobility problems, the layout was designed to be as compact as possible, ensuring access can be achieved to all flats with the exception of the staff quarters. The internal design of the building are designed to address the needs of users with limited mobility and is fully accessible to wheelchair and buggy users.